View cart “Glazunov Violin Concerto and Meditation” has been added to your cart. Classical lullabies of the 19th and early 20th centuries, such as those on Violin Lullabies, were inspired by traditional songs that mothers sang to lull their infants to sleep. Violinist Rachel Barton Pine and pianist Matthew Hagle perform 25 classical cradle songs for violin, including works by Johannes Brahms, George Gershwin, Franz Schubert, Gabriel Fauré, Richard Strauss, and Maurice Ravel, on Violin Lullabies (Cedille Records CDR 90000 139). As compositionally sophisticated as longer works by the same composers, these brief, beautiful pieces are equally suited to classical connoisseurs as well as to music novices of all ages. “While the birth of my first child inspired this album, the idea of deeply exploring the lullaby as a genre has fascinated me for some time. These are beautiful concert pieces which allowed me to express the love that fills my heart each day that I spend with my precious baby,” says Pine in her personal note in the CD booklet. Pine and her husband Greg’s first child, Sylvia Michelle Pine, was born in September 2011. By age one, Sylvia had accompanied her mother on tour to 20 U.S. states, three Canadian Provinces, and six countries. The Gershwin, Brahms, and Schubert lullabies were some of the first pieces that Pine and her husband sang to Sylvia. Violin Lullabies includes cherished music-box treasures such as Johannes Brahms’s Wiegenlied (Cradle Song), No. 4 from Fünf Lieder, Op. 49, often referred to as “Brahms’s Lullaby”; George Gershwin’s “Summertime” from Porgy and Bess; Gabriel Fauré’s Berceuse (Lullaby), Op. 16; Igor Stravinsky’s Berceuse from The Firebird; Maurice Ravel’s Berceuse sur le nom de Gabriel Fauré (Lullaby on the name “Gabriel Fauré”); and Franz Schubert’s Wiegenlied, D 498 / Op. 98, No. 2. Listeners will also discover gems by lesser-known composers such as Pauline Viardot-Garcia, Lucien Durosoir, and Victor Béraud. Five of the lullabies receive world-premiere recordings: Vladimir Rebikov’s Berceuse, No. 1 from Trois Morceaux, Op. 7; Ludwig Schwab’s Berceuse écossaise (Scottish Lullaby); Mikhail Antsev’s Berceuse, No. 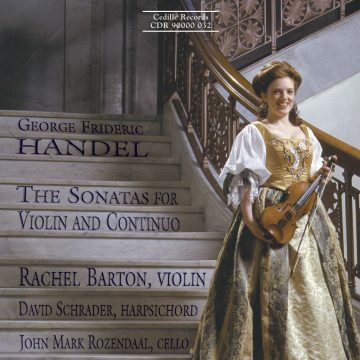 1 from Four Pieces; Richard Strauss’s violin and piano version of his Wiegenlied, No. 1 from Fünf Lieder, Op. 41; and Camillo Sivori’s Berceuse, Op. 30. Classical lullabies of the 19th and early 20th centuries, such as those on Violin Lullabies, were inspired by traditional songs that mothers sang to lull their infants to sleep. They are concert works meant to evoke the warmth of familial love and fond childhood memories. The CD track listing reveals many names for the lullaby: “berceuse” in French, “wiegenlied” or “schlummerlied” in German, “nana” in Spanish,” “oror” in Armenian, and “vuggevise” in Norwegian. Most of the lullabies on the CD were originally written for violin and piano. Others started out as songs or piano pieces and were transcribed and arranged by their composers or prominent violinists of the past. “Quite a few violinists have recorded collections of Romances by various composers. To my knowledge, no violinist has made an album comprised entirely of Berceuses,” says Pine. Nobody, it seems, had ever cataloged this body of work. Pine could find no recordings devoted to classical violin lullabies and no compilations of scores. She set about collecting sheet music from libraries in the U.S. and overseas, eventually accumulating more than 150 scores from the late 1800’s onwards. She then made demo recordings for evaluation purposes. “A high percentage of these works were of good quality,” Pine says. These include lullabies by obscure composers that proved to be “gorgeous little pieces and very touching,” she adds. Together with Cedille Records founder, president, and producer James Ginsburg, Pine and pianist Hagle selected lullabies to record for the album, taking into account artistic merit, musical variety, and program length, Pine explained. Complimenting the CD are liner notes by Pamela Blevins, co-founder and editor of Signature, Women in Music magazine, published by The Maud Powell Society. In addition to discussing the history of lullabies and the specific works on the CD, Blevins also sheds light on the composers’ family lives and romantic interests. Violin Lullabies was produced by Cedille’s Ginsburg and engineered by Bill Maylone at sessions October 26, 28, and 29, 2012, in the Fay and Daniel Levin Performance Studio of radio station WFMT, Chicago. The works heard on Violin Lullabies were written by German, Italian, Czech, Belgian, Russian, French, Norwegian, Finnish, Spanish, British, and American composers. Brahms dedicated his Wiegenlied (1868), a vocal work, to a singer (and former girlfriend) and her husband after the birth of their second child. Pine and Hagle play the arrangement by American violinist Albert Spalding (1888–1953). Schubert’s melodious Wiegenlied (1816) lends itself naturally to violin transcription, as can be heard in Russian-born violinist Mischa Elman’s arrangement. Strauss composed his celebrated Wiegenlied originally for voice and piano (1899), for the daughter of a close friend and musical mentor. Max Reger’s lyrical Wiegenlied, composed between 1902 and 1904, carries no hint of the forward-looking dissonance and abstract qualities for which he’s best known. Robert Schumann’s Schlummerlied, from a set of 20 pieces for solo piano composed between 1832 and 1845, is dedicated to his young daughters. German violinist Hans Sitt arranged Schlummerlied for violin and piano. Best known for his colorful symphonic poems evoking the sights and sounds of Rome, Italian composer Ottorino Respighi wrote his Berceuse as part of a six-piece set for violin and piano, composed between 1901 and 1905. Violinist-composer Sivori was the only student of legendary Romantic violinist Niccolò Paganini. Sivori’s Berceuse remains his best-known work. A Czech violist, pianist, and composer, Schwab dedicated his Celtic-flavored Berceuse écossaise (Scottish Lullaby), written in the early 1900s, to the wife of his close friend and recital collaborator, violin virtuoso Jan Kubelik. Eugène Ysaÿe, Belgian violinist and composer, was on tour in the United States when his longing to see his infant son compelled him to write his poetic Rève d’Enfant (Childhood Dream), published in 1901. Antsev, Rebikov, and Igor Stravinsky bring Russian sensibilities to Violin Lullabies. Antsev, whose Berceuse dates from the turn of the 20th century, studied with Nicolai Rimsky-Korsakov. Rebikov’s Berceuse (1895) recalls the lyrical expression of Tchaikovsky. Stravinsky transcribed his mesmerizing Berceuse (1929) from one of the orchestral suites he adapted from his beloved ballet, The Firebird. Gabriel Fauré “is widely regarded as the greatest master of French song,” says Grove Music Online. His Berceuse for violin and piano, composed between 1878 and 1879, is among his earliest works. Fauré was the dedicatee of his friend Maurice Ravel’s 1922 lullaby, titled Berceuse sur le nom de Gabriel Fauré (Lullaby on the name Gabriel Faure). Lucien Durosoir’s Berceuse comes from his 1920 set of Cinq Aquarelles (Five Watercolors) for violin and piano. Norway’s Edvard Grieg composed his Vuggevise (1883) as one of eight works for piano in his Lyric Pieces, Book II. The version for violin and piano was arranged by violinist Hans Sitt. Jean Sibelius, who tapped into the spirit of his native Finland, wrote his Berceuse as the final work in his Six Pieces for violin and piano (1917). Born into a family of Spanish musicians living in Paris, Pauline Viardot-Garcia, a celebrated singer, virtuoso pianist, and prolific composer, dedicated her Berceuse (1868) for violin and piano to her son. Manuel de Falla’s Nana is from a set of seven folkloric songs for voice and piano completed in 1914. Paul Kochanski arranged it for violin and piano. The arranger of one of the two British lullabies on the CD is far better known than its composer. Edward Elgar arranged Petite Reine (Little Queen) from a piano piece by “Victor Béraud,” a pseudonym for Worcestershire composer G. Frank Blackbourne. Successful concert violist and composer Rebecca Clarke wrote her early Lullaby for violin and piano in the second decade of the 1900s. New England native Amy Beach, a musical prodigy, was the first American woman to achieve widespread recognition as a composer of large-scale orchestral works. Her intimate Berceuse, from 1898, is the second of her Three Pieces for Violin and Piano. Pioneering African-American composer William Grant Still composed his lullaby, “Mother and Child” (1943), after viewing a lithograph by African-American artist Sargent Claude Johnson. “Summertime” is a lullaby first sung by mother Clara to her baby in George Gershwin’s celebrated 1934 opera Porgy and Bess. Russian-born composer and violinist Igor Frolov arranged it for violin and piano in 1937 as part of his Porgy and Bess Fantasy. Twentieth-century American composer Alan Hovhaness, of Armenian and Scottish descent, looked to Asia and the Near East for musical inspiration. His Oror is a childhood composition from the 1920s. Three additional lullabies were recorded at the October 2012 sessions and will be made available for purchase as downloads: Berceuse from Noure et Anitra, Op. 13, by Russian composer Aleksandr Iljinsky; Nana by Spanish composer Xavier Montsalvatge; and Lullaby by African-American composer Betty Jackson King. Pine has edited a collection of the scores, to be published in conjunction with the Cedille CD by Carl Fischer Music in 2013, complete with an accompanying disc of piano-only tracks recorded by Hagle to help violinists learn and perform the concert pieces on Violin Lullabies. “These are compositionally sophisticated pieces which reveal wonderful nuances through study and repeated performance,” Pine says. “Yet because of their technical simplicity, they are appropriate for violinists in various phases of their music-making: from international soloists to amateurs and students,” Pine notes. 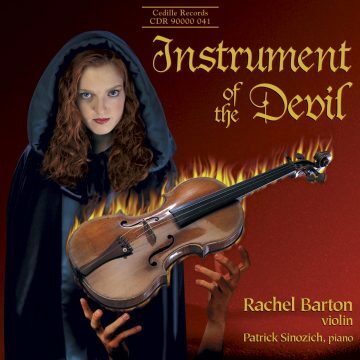 International concert violinist Rachel Barton Pine is Cedille Records’ top-selling recording artist. 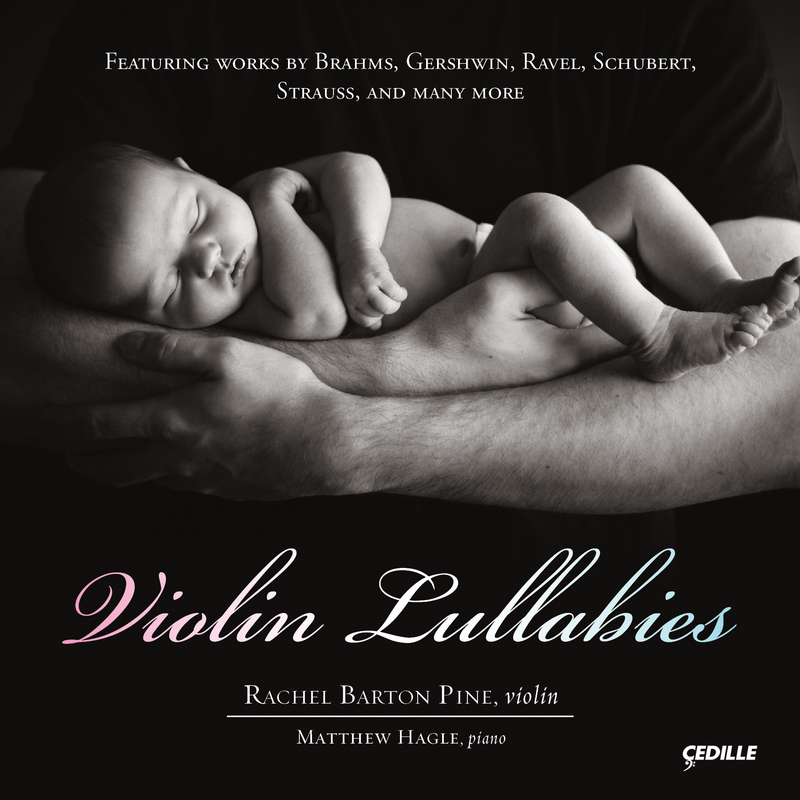 Violin Lullabies is Pine’s 1lth recording for the label as featured soloist. 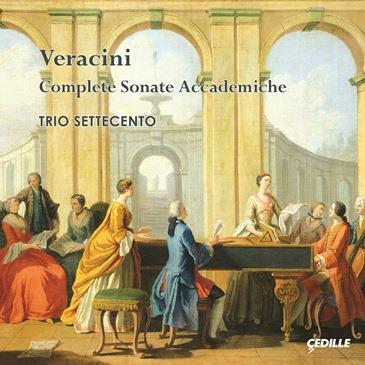 The Chicago-based violinist can also be heard on Cedille’s acclaimed series of four early-music albums with her period-instrument ensemble, Trio Settecento. Pine has also recorded for the Dorian, Hänssler Classic, Cacophony, and Warner Classics labels. Her website is rachelbartonpine.com. Chicago pianist Matthew Hagle is a leading performer and recital partner. A graduate of the Peabody Conservatory and of Yale University, he is on the faculty of the Music Institute of Chicago. 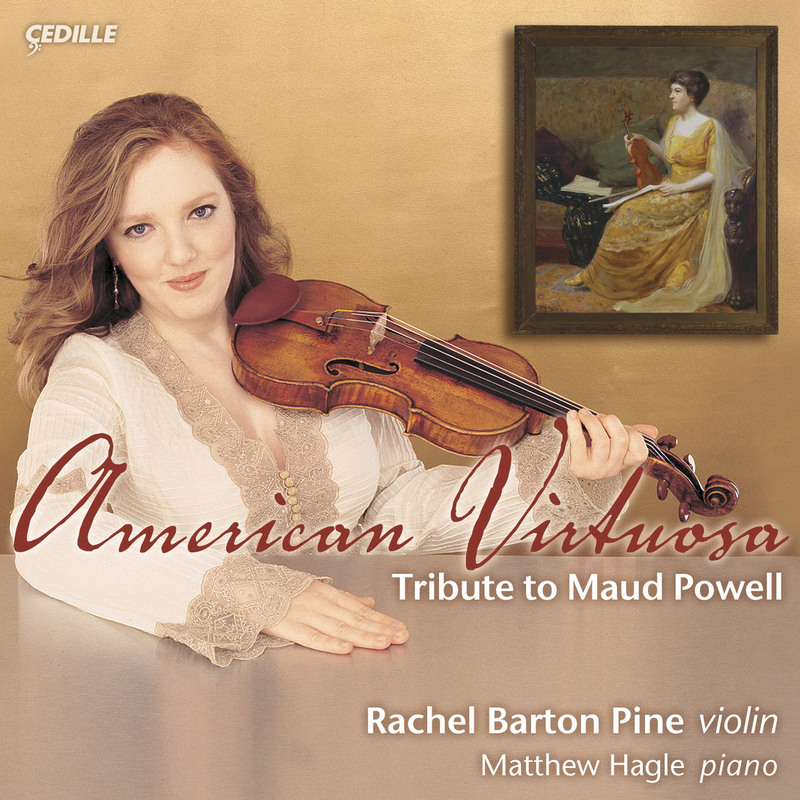 He can be heard on Pine’s Cedille album American Virtuosa: Tribute to Maud Powell. More about the pianist may be found at industry.rachelbartonpine.com/bio_pianist.php.